The ACT, a jurisdiction that boasts the highest and most evenly distributed income in the nation, is experiencing a homelessness crisis. According to Homelessness Australia, on any given night one in 200 people in Australia are homeless. A quarter of homeless Australians are Aboriginal or Torres Strait Islanders, and 30 per cent were born overseas. The ACT’s homelessness rate has increased by 70 per cent since 2006 which is well above more than double than any other jurisdiction in Australia. Tonight there will be nearly 1800 Canberrans without homes. I recently had a conversation with my mate Joe Bailie who has been homeless in Canberra for much of his adult life. He explained the factors that contributed to his homelessness. “All throughout school I thought I had a normal name until one day the kids started teasing me and saying that I had a girl’s name,” he said. Unable to cope with his social isolation, he felt there was no escape from such a scarred and rejected existence other than the reprieve that drugs had to offer. He explained that the difference between being homeless in Canberra compared with other places in Australia is that Canberra lacks the basics. “You can’t find water and there’s nowhere to shower like at the coast. There’s just not enough beds and places to go”, he said. 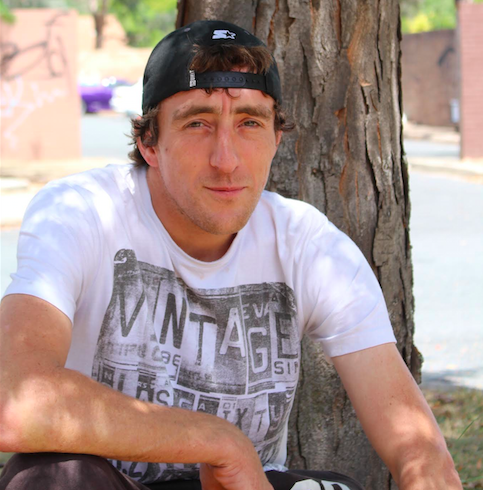 For Joe, being in homeless in Canberra is cold – both physically and emotionally. Joe is articulate and intelligent. He describes being homeless like drowning – he doesn’t want a home just so he can live in it; he wants a home so he can stand on his own two feet, breath the air, get a job, and contribute to society. He is currently studying at CIT and hopes to graduate as a certified youth worker in six months. Good luck Joe. 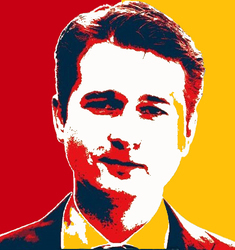 Joe recently applied to live in a housing complex designed by Common Ground Canberra. To be opened in May this year, the Gungahlin project is a multifaceted and innovative approach to the problem of homelessness, explains one of the many devoted directors of the project, Diane Kargas. “Common Ground Canberra believes that housing someone should come first and then services can be provided to people that cater specifically for their needs,” she said. The Gungahlin facility will comprise of 40 one-bedroom units whose tenants will ideally be an even mix of formerly chronically homeless people and people simply on low incomes. Supplied by the facility will be counsellors, support workers, and 24/7 security. The facility does not cater for children. Predominantly funded by the ACT Government, the Commonwealth, and The Snow Foundation, let’s hope that Common Ground Canberra makes a substantial difference in what is becoming a serious and growing moral blight on our nation’s capital. In 2001 me and my sons lived on the riverbank of the Cotter Dam in an unregistered car,,,,,we were HOMELESS. My husband had began drinking again and he was violent and the police organised me moving back to Queanbeyan/ACT but after we got here nothing as organised. Apparently the police could NOT organise anything. So I’m in a car with 4 sons between 3yo and 14yo and there is NO HELP. I went everywhere and UNLESS I had a drug problem,,,,,there was no help. Vinneys and Salvo’s told me to get a job,,,,,cool but where was I gonna leave my kids???? In the unregistered car?? We lived in the car,,,,,where was I gonna leave them?? Centrelink refused to pay me because I didn’t have an address or contact number. I could not get Housing as I didn’t have an income. So me and my kids lived in an unregistered car on a river bank…..UNTIL my ex-husband found us and tried to kill me,,,,,,while his kids were watching then he stole our car. The POLICE were going to walk away and leave me and 4 kids with nowhere to go…and not even a car to sleep in. My son who was 3yo when everyone forgot him and thought it was OK for him to live in a car……HAS spent years training to protect you all,,,,,and is going all out to make sure he does. Yes I meant a large building along the lines of those at EPIC. Partitioned for privacy and segregated M/F. The government spends $2.5 million on barely used lights at Manuka oval but makes the homeless sleep in alcoves and doorways in Civic. I realise the homeless gravitate towards Canberra for some reason (something to do with Parliament being here I’ve read) so the government needs to provide shelter for them. I seem to remember a service being set up to help the homeless receiving about a million dollars not long ago. Had that money gone to Ainslie Village I’m quite confident there would be no shortage accommodation shortage at all. Stop paying peak bodies and workers who simply aren’t meeting the challenge. Fund those who are actually providing the housing. Can anyone give me a logical answer as to why the government can’t build a large decently heated hostel in Civic or within walking distance where the homeless can sleep without fear of being attacked by drunken louts, get a shower and access to an op shop for clothes? Ainslie village is a large hostel close to civic. And that worked out well. Burnie Court? Allawah Flats, Bega Flats? This high density living for the ‘disadvantaged’ has never worked well before, but let’s keep trying it shall we? Well hang on what exactly are we talking about here? The first poster refers to a heated hostel, the latter are talking about proper accommodation. I think the first one goes to the requirement for the barest of minimum offerings, somewhere warm and off the streets. For that, I don’t see any need for new buildings, there’s already people repurposing community facilities for that purpose, relying on volunteers for monitoring. The difficulty is people willing to give the space. But in terms of accommodation, that’s a longer term thing and needs a strategy in place, and the last poster is right, high density concentration of disadvantage is a very unhelpful, even dangerous thing to do. The disadvantaged, with some exceptions, need to mixed with the community. Otherwise you end up with ghettos and an isolating environment. A significant number come to Canberra under the misapprehension that ‘the (federal) government’ should assist them, not realising that the ACT not the Cth is responsible and we are a very small jurisdiction. There also needs to be a unified approach across jurisdictions to prevent people swamping the place deemed to have the ‘best’ services (as happens in the U.S.). Unfortunately the funding for such a facility is not prioritised within the ACT budget. I would prefer to see such a facility as opposed to the ridiculous Westside container eyesore or the ridiculous billion dollar train set. OR the soon to be Westside V2 portable shipping container courthouse. Imagine if the ACT showed some real innovation and stewardship in prioritising solutions for homelessness and leading the nation in providing a solution. The annual CEO sleepout just does not cut it in my opinion. I think the biggest let-down for homeless people is that the Government promises help ‘left right and centre’ then places time limits ( 3 or 6 months) and wants you to jump through hoops to access any of the promised help. Not to mention the running around needed to jump through hoops as each organisation palms you off onto another organisation. The ‘Government promising help’ is more about being seen to care rather than any genuine sense of sympathy. It’s why governments don’t say ‘we will help you’, they say ‘we are committed to helping you’. Ironically it’s the worst case homeless people (ie sleeping rough, given up on anyone helping them) that the government likes the most, because they’re the easiest to sweep under the rug, out of sight, out of mind. It’s the homeless people that desperately try to access help that are an annoyance for government because they, and those that advocate for them, remain vocal and keep the issue on the table and outside the legislative assembly rather than in a sleeping bag on Mount Ainslie where MPs would prefer it remains. That way they don’t have to do anything about it knowing that no matter what happens they’re covered because they issued a press release saying they were ‘committed’ to helping. Jeepers I’m a cynic this morning! I might go outside and see if any old ladies need some help crossing the street. Canberra in winter must be the worst place to be homeless. And always difficult to get around, being such a decentralised city. It saddens me to see Canberrans turn up their noses at the less fortunate, like Joe says in the article. You see more suits in Sydney talking with disadvantaged people on the street than you do in Canberra. And that’s saying something! How about the ACT Government dedicates some of the money they’re getting from selling basically all of Canberra to developers to set up a serious strategy to tackle homelessness in this city. A very worthy contribution, Steven. Amidst the obscenely idiotic celebration (by some in our society) of skyrocketing house prices, it is extremely timely to remember that there is another side to that story – and thank you to Joe for giving a gentle, knowing face to that story. Well said – and a good OP. But its not only the increasing house prices. In such a well healed community, I wonder where our priorities are. If there really are not enough beds, why is that so ? As a community, as voters and ratepayers one has to wonder why Canberra needs to “grow up” by spending so much $ on a Light Rail instead of investing in things like hospitals, more beds for the homeless who want to use them, etc. Maybe the problem rests more with ACT voters/ratepayers by not putting enough pressure on our elected MLAs to fix problems such as this – have we become too consumed with material things like Light Rail at the expense of the human side of the ACT Gov’ts fiscal priorities ? I have been reading through the McClure report which was released this morning so your post is really relevant. Amongst loads of other really important issues, the report acknowledges access to stable housing and employment as an essential element to wellbeing (duh). I have mixed feeling about the recommendations. It will be very interesting to see the government’s response on this and all the other issues! Thanks mate. Sometimes it is difficult to get people to speak on the record about their experiences, and I think Joe is a brave human being.